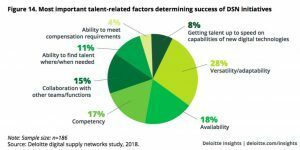 Manufacturers are becoming increasingly aware of the benefits digital supply networks offer, but implementation of the technology still lags, according to a new study conducted by Deloitte and the Manufacturers Alliance for Productivity and Innovation (MAPI). In contrast to a traditional supply chain, a digital supply network is a “flexible, interconnected matrix that allows data and information to move non-linearly to maximize efficiency to meet changing consumer and market demands,” the study authors write. Upstream benefits of a digital supply network include improved product quality and reduced operating costs. Downstream benefits include increased sales effectiveness and new business development opportunities. While manufacturers are generally aware of these benefits, the study finds that they also tend to be overly optimistic in assessing their digital supply network efforts. 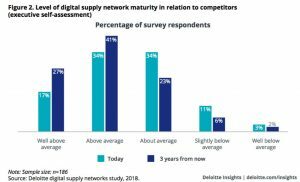 Fifty-one percent of those who participated in the study believe that the level of their digital supply network maturity is “above average” or “well above average.” Sixty-eight percent expect to be above or well above average in three years. Only a small percentage (7%) of respondents have not thought about implementing digital transformation initiatives. Sixty percent are either currently implementing such initiatives or planning to do so in the next 12 months, while 33% are prioritizing digital supply networks among their strategic objectives. 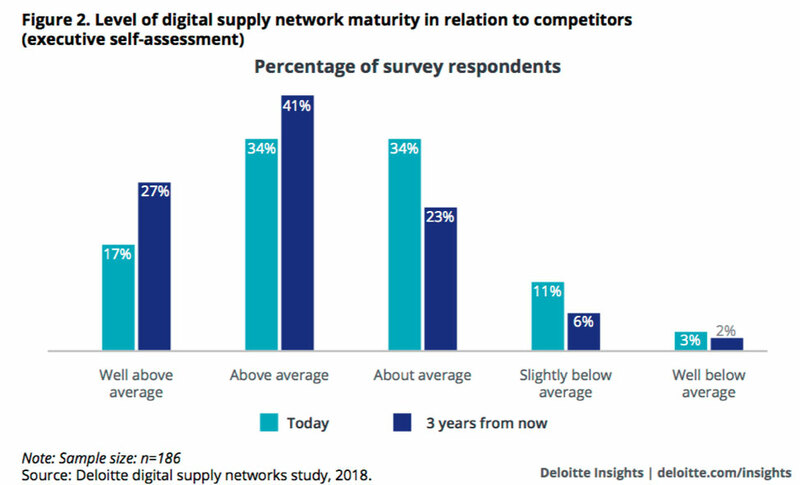 Respondents are also quite optimistic about the benefits that digital supply networks will provide, with nearly three-quarters saying that they expect to derive “significant” or “exponential” benefit from the implementation of a digital supply network. When the respondents were asked about their financial goals in implementing a digital supply network, increasing sales effectiveness was the most cited goal. Reducing operating costs, improving margins and generating new business development opportunities were also top goals. Perhaps unsurprisingly, an insufficient budget is the top organizational barrier to implementation, the study finds, with data fragmentation, lack of strategy and inability to scale up initiatives also high up on the list. The chart above shows that there is not quite a consensus on the most important talent-related traits for the successful implementation of a digital supply network.